This is crap. Pure and simple crap. 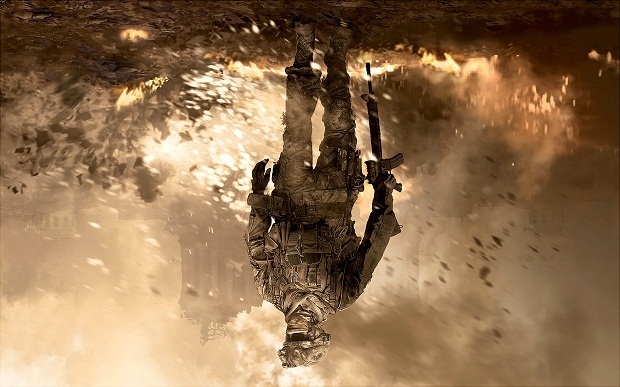 Modern Warfare 2‘s upcoming map pack is going to cost $15 freaking dollars. $15! For five maps! WHAT THE HELL IS THIS? DLC’s have recently been touted as the future of video games. Developers like them because they can keep adding fresh content to games and the fat cats like them because they bring in more slush money. It’s a win win. It’s even a win for gamers most of the time because they often share the same feelings as the developers. DLC at least in theory increase the replay value of a game. That’s great and normally these packs are available for around $5 or $10 dollars. Borderlands is currently on its third DLC with The Secret Armoy of General Knoxx. For $10 players get the chance to beef up their characters an extra 11 levels to 61, drive more vehicles and collect a host of new guns to conquer the new missions. That’s worth $10. Then there’s the new Modern Warfare 2 map pack. It will costs $15 and comes with five multiplayer maps, two that are recycled from previous games. Of course the fun part here is that online players will likely be forced to purchase the map pack if their favorite game server or buddies upgrade. There might also be new guns, but that’s not the point. A $15 DLC should come with more than just five multiplayer maps. And if Activision only has five new maps available, then the packs should cost less. This is just clearly another example of Activision gouging gamers. Hopefully other game publishers are taking notes, not of Activision’s tactics, but rather of gamer’s reactions.